Jinja is in Jinja District, Busoga sub-region, in the Eastern Region of Uganda. 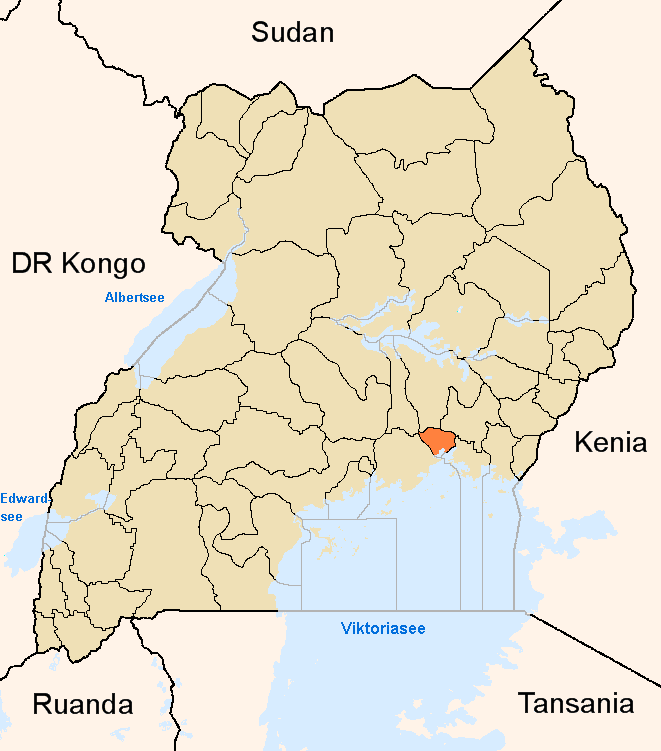 The town is approximately 81 kilometres (50 mi), by road, east of Kampala, the capital and largest city of Uganda. It sits along the northern shores of Lake Victoria, near the source of the White Nile. 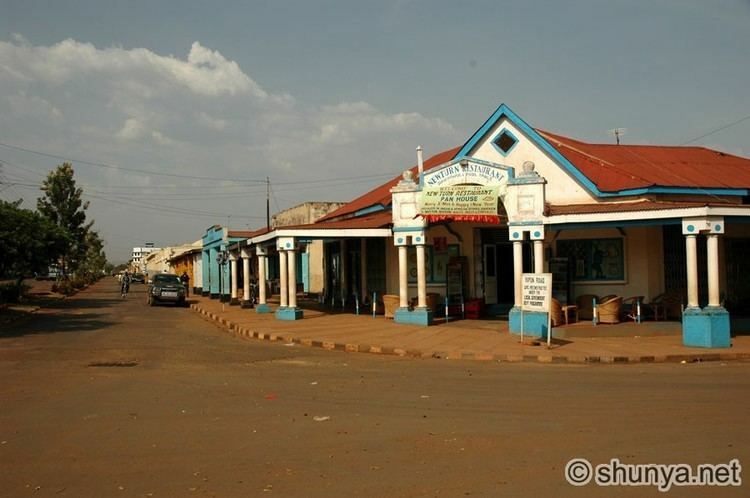 According to the 2014 national population census data, Jinja is the largest metropolitan area in the Jinja District and the 14th-largest town in the country. The coordinates of Jinja, Uganda are 0°25'24.0"N, 33°12'24.0"E (Latitude:0.423333; Longitude:33.206667). The city was planned under colonial rule in 1948 by Ernst May, German architect and urban planner. May also designed the urban planning scheme for Kampala, creating what he called "neighborhood units." Estates were built for the ruling elite in many parts outside the center city. This led to the area's 'slum clearance' which displaced more than 1,000 residents in the 1950s. Though beautiful, the scene was not exactly what I expected, for the broad surface of the lake was shut out from view by a spur of hill, and the falls, about twelve feet deep and four to five hundred feet broad, were broken by rocks; still it was a sight that attracted one to it for hours. The roar of the waters, the thousands of passenger fish leaping at the falls with all their might, the fishermen coming out in boats, and taking post on all the rocks with rod and hook, hippopotami and crocodiles lying sleepily on the water, the ferry at work above the falls, and cattle driven down to drink at the margin of the lake, made in all, with the pretty nature of the country—small grassy-topped hills, with trees in the intervening valleys and on the lower slopes—as interesting a picture as one could wish to see." The national census of 2002 estimated Jinja's population to be 71,213 of which 36,325 were males and 34,888 were females. In 2010, the Uganda Bureau of Statistics (UBOS) estimated the population at 82,800. In 2011, UBOS estimated the population at 89,700. In 2014, the national population census put the population at 72,931 However, the Municipality Authority contested the recent census of 2014, saying it under-counted Jinja's population. The majority of the population are of Bantu origin. Lusoga is the main local language. 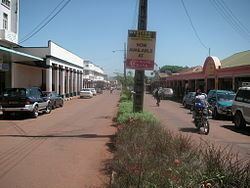 Jinja has a large population of inhabitants who are defined as "working urban poor". The average annual household income is estimated at US $100. 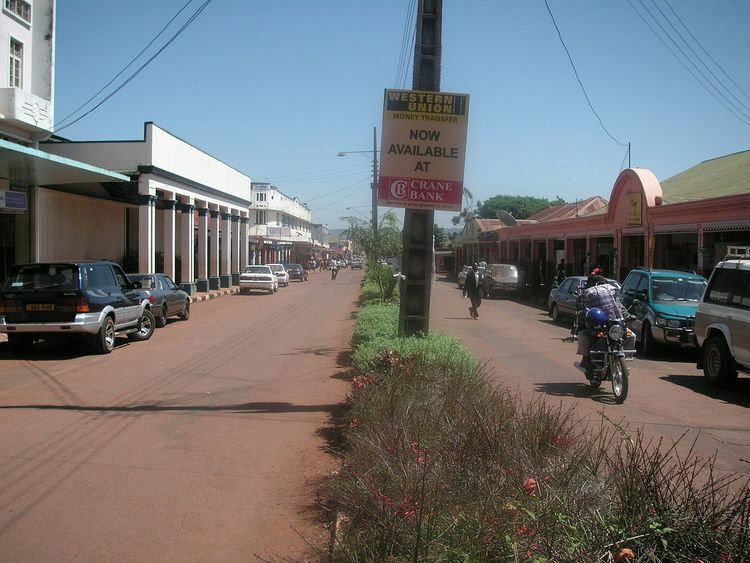 Jinja had the second largest economy in Uganda. In the past, factories chose Jinja as their base because of the nearby electric power station at the Owen Falls Dam. Since the early 2000s, the economy of Jinja has picked up steadily. The main economic activities take place in the central business district. A new market for fresh produce was completed during the fourth quarter of 2014. The facility can accommodate up to 4,500 vendors and cost US$13.7 million to construct, with a loan from the African Development Bank from 2011 until 2014. The biggest local employer is the Kakira Sugar Works (KSW), a member of the Madhvani Group of companies. KSW is one of the largest sugar factories in East Africa, employing over 7,500. The factory burns bagasse byproducts from sugar manufacturing to generate 50 megawatts of electricity for internal use and sale to the national grid. Sugar cane cutting median wages are about UGX:1,000 per day. The headquarters of Nile Breweries Limited are in Njeru, a suburb of Jinja, near the Source of the Nile, from which the brewery has been drawing its water for the past fifty years. Building of the brewery commenced in 1952 and was completed four years later. Bottles of Nile Beer, renamed Nile Special Lager, the company's flagship brand, were first consumed in 1956. In 2001, Nile Breweries Limited was fully acquired by South African Breweries. MM Integrated Steel Uganda Limited is one of the leading manufacturers of steel in the region. It has completed a $47 million (Shs122 billion) plant to produce 50,000 metric tonnes of steel products a year and directly employs 1,800 people. The company has projected to invest US$600 million through 2018. The Bidco international oil refining company maintains a palm oil factory in the city. The palm oil fruits come from Bidco's 6,500 hectares (16,000 acres) plantation on Bugala Island in the Ssese Islands Archipelago, Kalangala District, in Lake Victoria. The factory in the islands crushes the fruit, and the crude palm oil is transported to Jinja for refining into edible oil and other products. Kiira Motor Corporation, also known as the Kiira EV Project, a locally based startup car company, expects to set up the first car manufacturing facility in Uganda, based in Jinja. The Kiira EV Project received 100 acres (40 ha) of land at the Jinja Industrial and Business Park. Production is expected to start in 2018. The government of Uganda will provide funding to the initial production and setting up of a factory for the project. WIEGO, in collaboration with Nurturing Uganda, is conducting a project allowing women to sustain herself better, giving them the opportunity to cover their children' school expenses. Bugembe Islamic Institute Secondary School. The Qaddafi Barracks, an institution of the Uganda People's Defence Force (UPDF), are in Jinja. They are the location of the Uganda Junior Staff College, one of the about dozen military schools in Uganda. The town is also the site of the Uganda Senior Command and Staff College, another UPDF institution, located in the Kimaka neighborhood about 2.8 miles (4.5 km) north of Jinja's central business district. In 1993, construction began on a second power station at the source of the White Nile; an extension of the original Nalubaale Power Station. The extension was completed in 2003, named the Kiira Power Station, and is capable of producing 200 megawatts of hydroelectric power at maximum utilization. Jinja is a major station on the Uganda Railway and is a port for Lake Victoria ferries. Jinja Airport, a small civilian and military airport, is located at Kimaka, about 4 kilometres (2.5 mi) north of Jinja's central business district. A bridge, known as the New Jinja Bridge, is planned across the Nile, connecting the town of Njeru to Jinja. Construction started in 2013 and is expected to be completed in 2016. 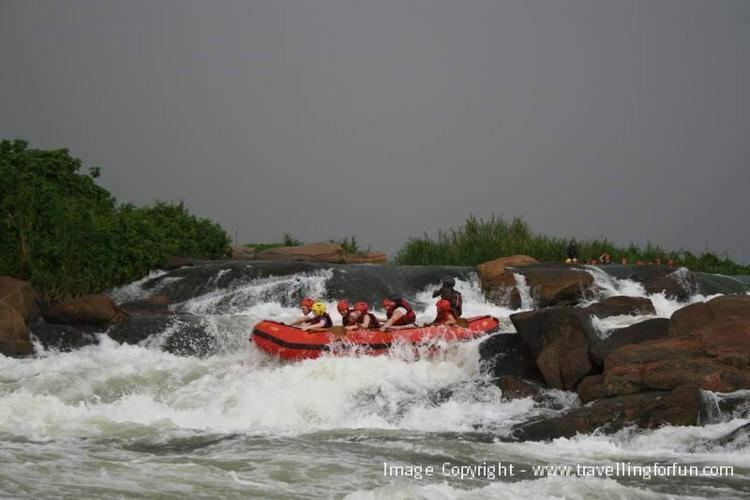 Local attractions include white-water rafting, the "Source of the Nile", Bungee Jumping, and a large brewery. About 5 miles (8.0 km) north of Jinja is the Bujagali Power Station. The hydroelectric facility is providing 250 megawatts of electric power. Buwenge also has the headquarters of Jinja District. There is an active Hindu temple near Jinja, which has a bronze bust of Gandhi. Jinja is the location of the headquarters of the Lake Victoria Fisheries Organisation, a subsidiary of the East African Community. Jinja also has the headquarters of the Roman Catholic Diocese of Jinja, headed by Bishop Charles Martin Wamika. Jinja hosts the regional offices of the Uganda Red Cross Society, a humanitarian organization.